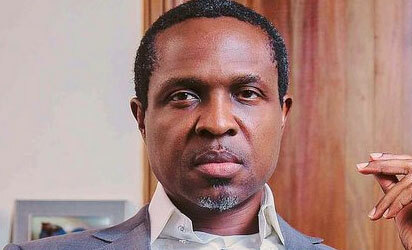 Sacked Rivers State APC Governorship Candidate, Mr Tonye Cole and the sacked Factional Rivers State APC South-East Senatorial District, Oji Ngofa on Wednesday led armed thugs to invade the premises of the Court of Appeal, Port Harcourt Division, where they beat the Port Harcourt NBA Chairman , Mr Sylvester Adaka to a pulp. The Factional Rivers State APC thugs in company of Cole and Ngofa also manhandled several lawyers on ground to enforce the NBA order for legal practitioners to boycott courts for two days. The lawyers were in court over the directive of the NBA for all lawyers to boycott courts over the illegal removal of the CJN by outgoing President Muhammadu Buhari. On Wednesday, officials of the Port Harcourt Branch of the NBA moved from court to court to enforce the NBA order. On sighting them, the APC leaders unleashed their thugs and disrupted the process. Inside the court, five of APC matters were listed for mention. In one of the matters, the APC sought for stay of execution on the judgment of Justice Kolawole Omotosho of the Federal High Court, Port Harcourt. Lawyer to Senator Magnus Abe and others, Henry Bello asked the court to adjourn the matter in view of the NBA order to lawyers over the illegal removal of the CJN . Counsel to PDP, Chief Godwin Obla (SAN) also urged the court to adjourn the matter due to the directive of the NBA. Presiding Judge, Justice Gumel said he would not respect the NBA Directive. It was at this point that the Port Harcourt NBA officials attempted to explain the need for adjournment to the court, before they were dragged out by Cole’s thugs and beaten up in the presence of the Sacked Rivers State APC Governorship Candidate.